Majestic horses, beautiful friends and wonderful food made my Saturday complete. 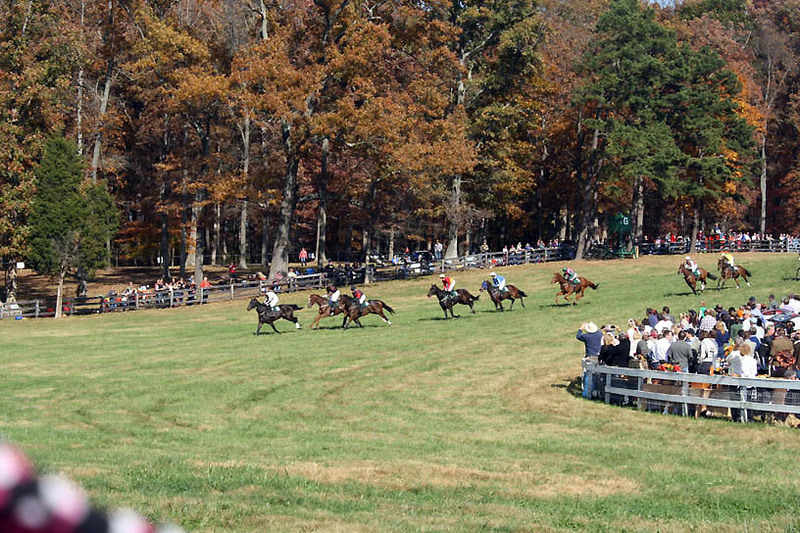 Watching the Montpelier Hunt Races has become a tradition for my family and friends, and this year’s day of tailgating was perfect, with unusually warm weather and plenty of sun relieving us of coats that we’d brought, just in case. 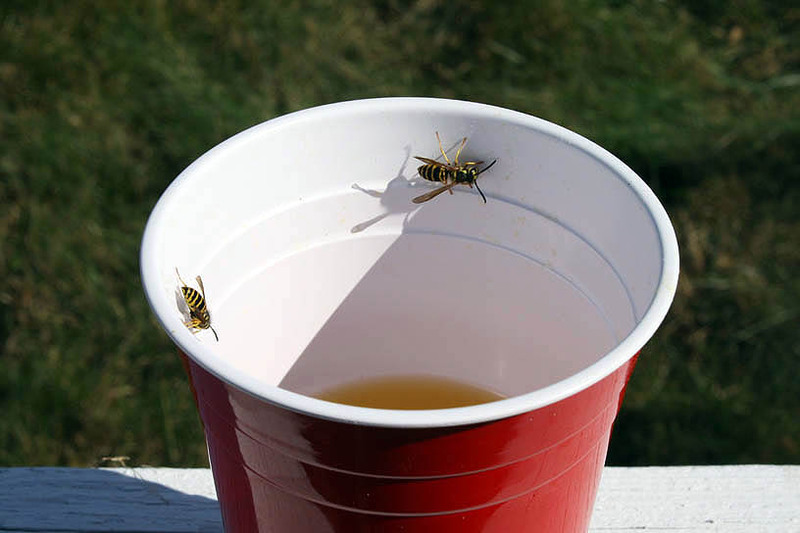 You never know what Mother Nature will hold in early November. 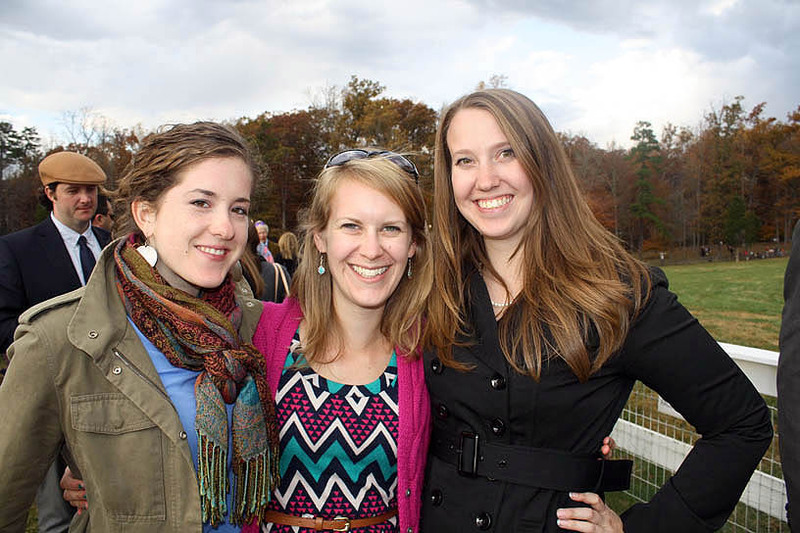 Friends for six years–Susie, Heather and I met in our freshman dorms. Emma, Chris and I got right to work when we arrived mixing up a pitcher of our favorite drink, Agua de Valenica. 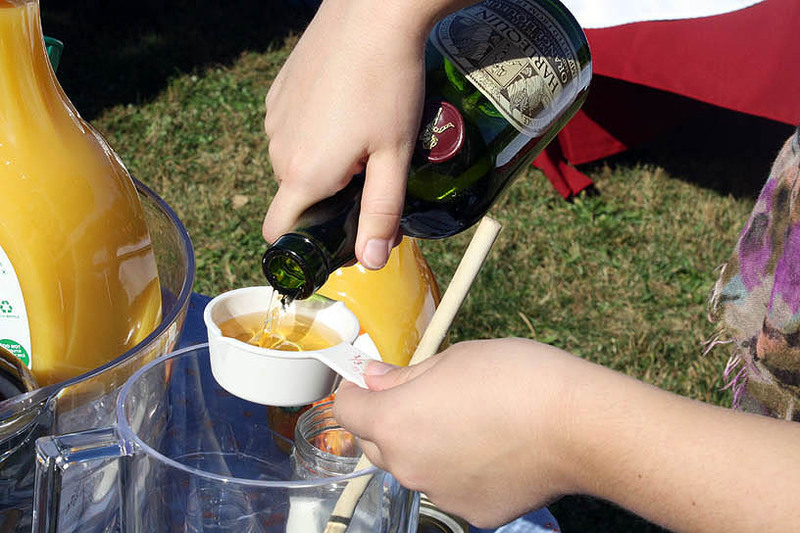 The “water of Valencia” is a jacked-up Spanish mimosa that was commonplace when Emma studied in Spain’s third largest city. My family added it to our list of favorites after drinking it in a few cafes three summers ago. Agua de Valencia: In a pitcher, combine 1/3 cup sugar with 1/3 cup orange liquer (like Cointreau if your wallet allows, but lower shelf is just as good). 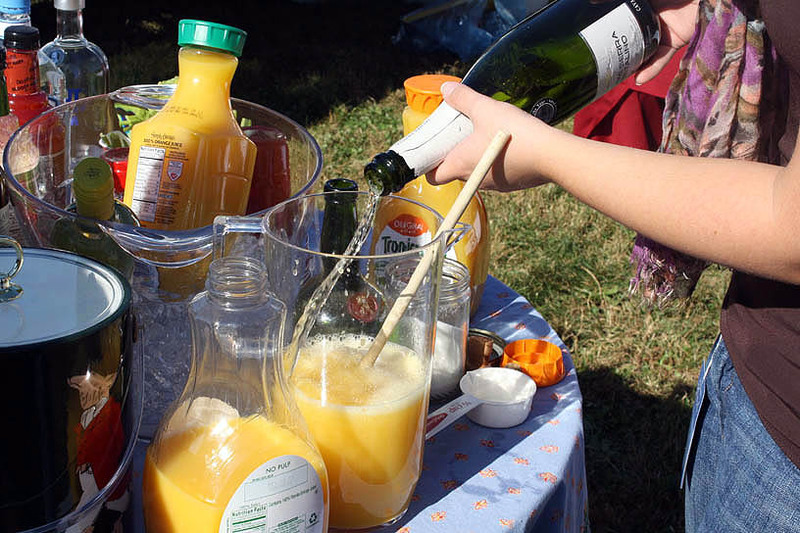 Add a half-container of orange juice and one bottle of Cava or other sparkling wine. Stir and enjoy! 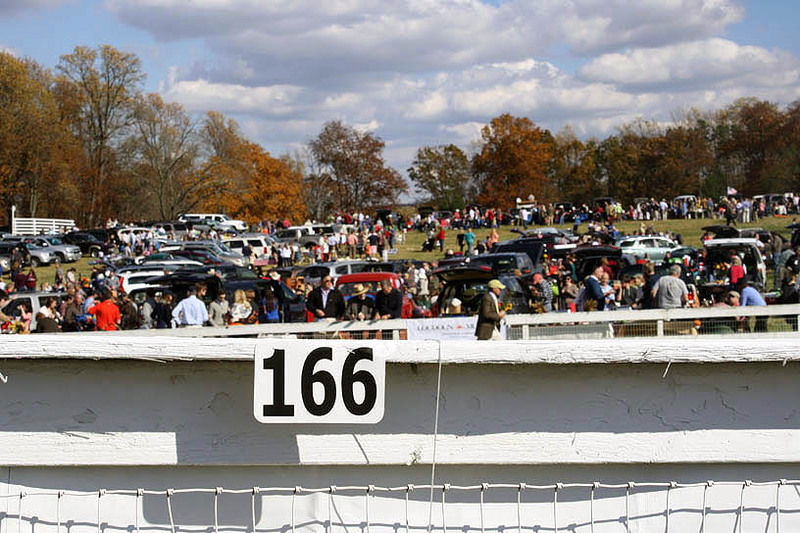 Held the first Saturday of every November, the races started in 1929 when Marion duPont Scott lived in the estate that was once home to James Madison, our fourth president. 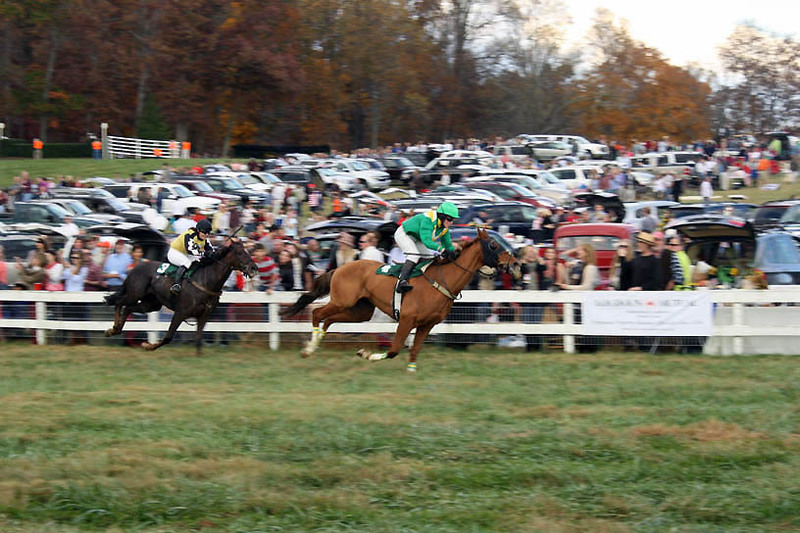 The accomplished horsewoman–known as “America’s First Lady of Racing”–created many famous steeplechase courses and also bred horses that won elite races. After her death, and in the 1980s and 1990s, the National Trust For Historic Preservation acquired the property. But it worried that Montpelier wouldn’t be able to sustain itself, we learned Saturday. 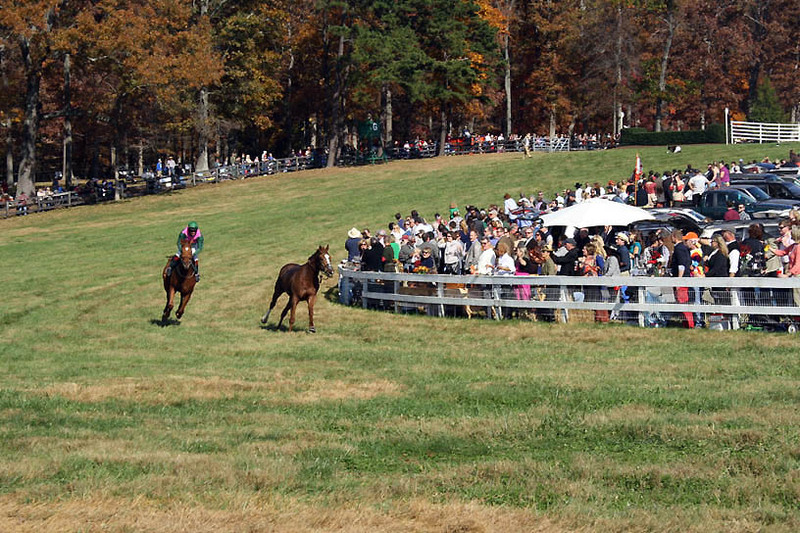 That’s when endowed spaces came into play as a guarantee that families would show up year after year to the Montpelier Hunt Races. Previously, they could show up and park anywhere they liked. 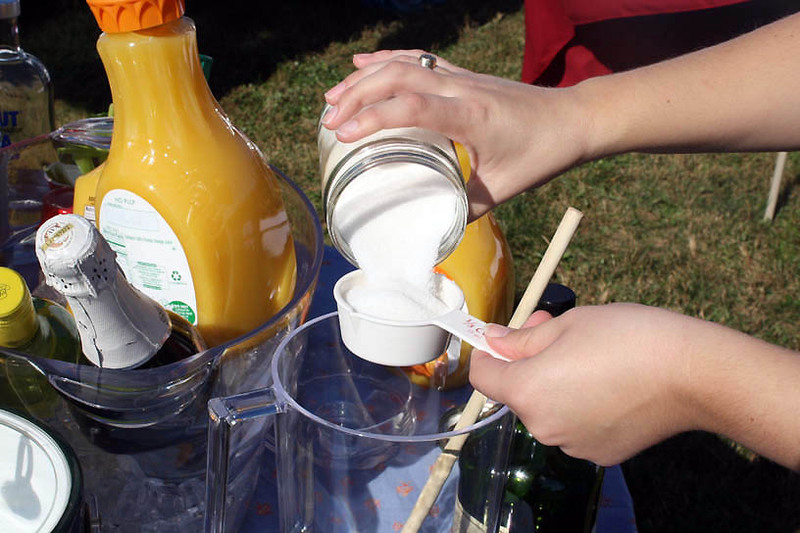 Susie’s family and their friends–who had already been for years–bought a spot and have made the fall tailgate in Orange County a tradition ever since. Susie invited me freshman year of college, and since then, various members of my family have also tagged along. 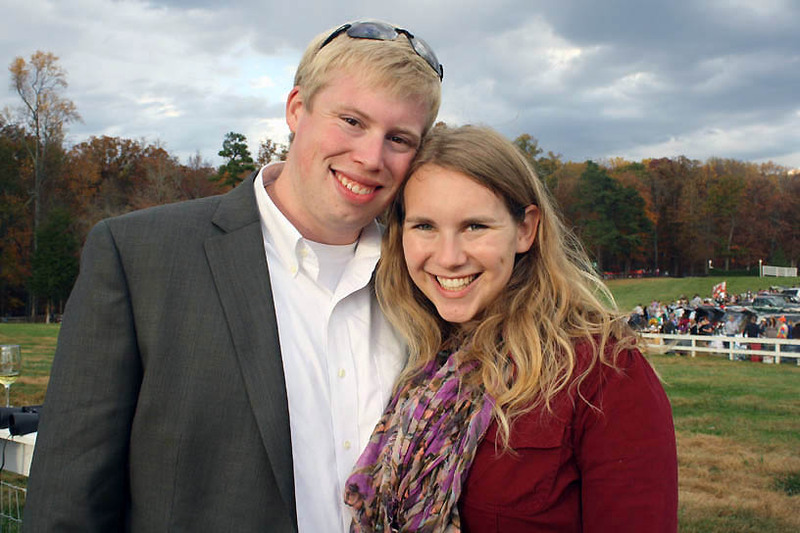 This year, Emma and Chris opted to watch pretty horses rather than a sad football team–smart choice. They’re also ridiculously cute. 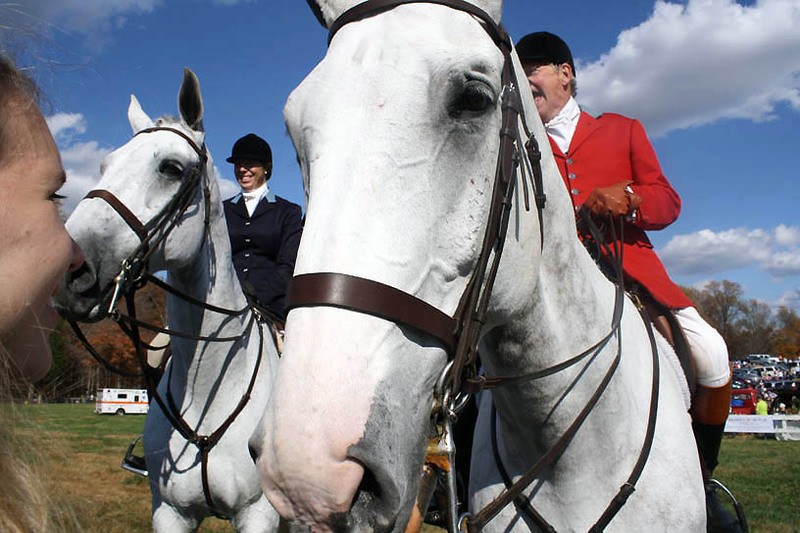 Petting horses ridden by redcoats is a must at the races as well. Just don’t climb up any wooden fences for the threat of rusty nails going into your flat-clad foot is real. Fortunately, that was last year. No ER trips in 2013. 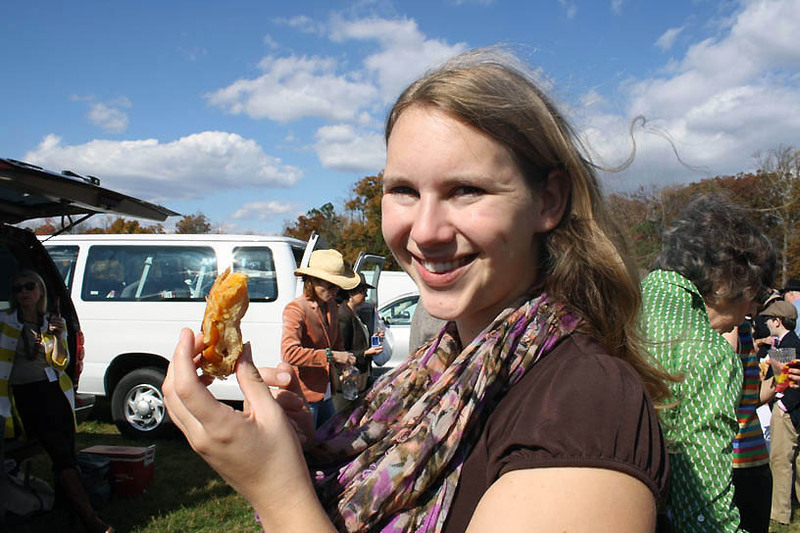 Between races, we enjoyed a variety of food. 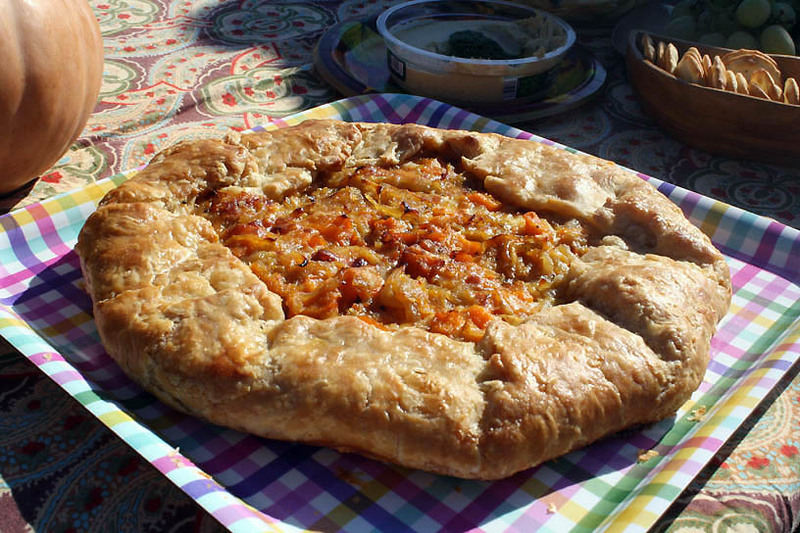 I’d been eyeing Deb Perelman’s recipe for a Butternut Squash and Caramelized Onion Galette from The Smitten Kitchen Cookbook. I can’t believe it’d taken me to long to make it, for it was absolutely fabulous. Two sticks of butter made for a flaky crust that held roasted cubes of squash, two slow-cooked onions that sweetened over time, grated Swiss and fontina cheeses and a hint of thyme. A galette–a rustic, open-face pie–can hold virtually any ingredients you desire: berries, tomatoes, apples, squash, cheese, ricotta or more. This particular combination included the sweet and savory components that really showcased fall’s best flavors. 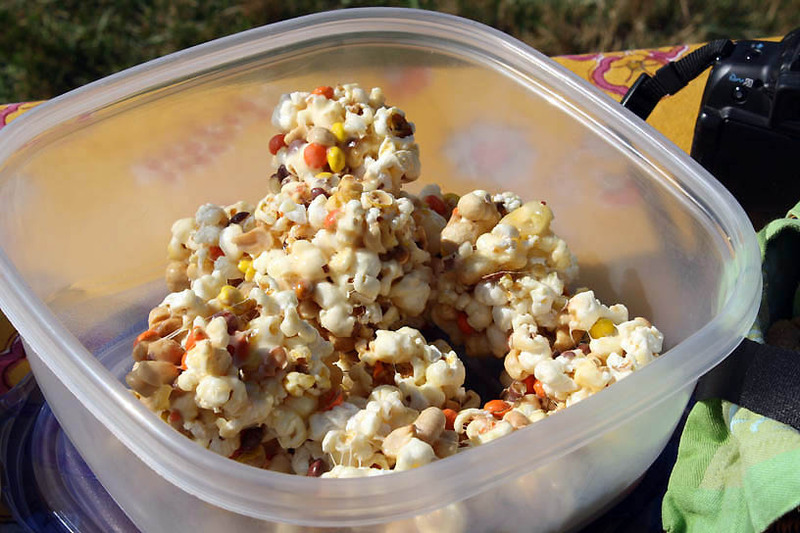 I also made popcorn balls from the Pioneer Woman, studded with Reese’s Pieces and peanuts. 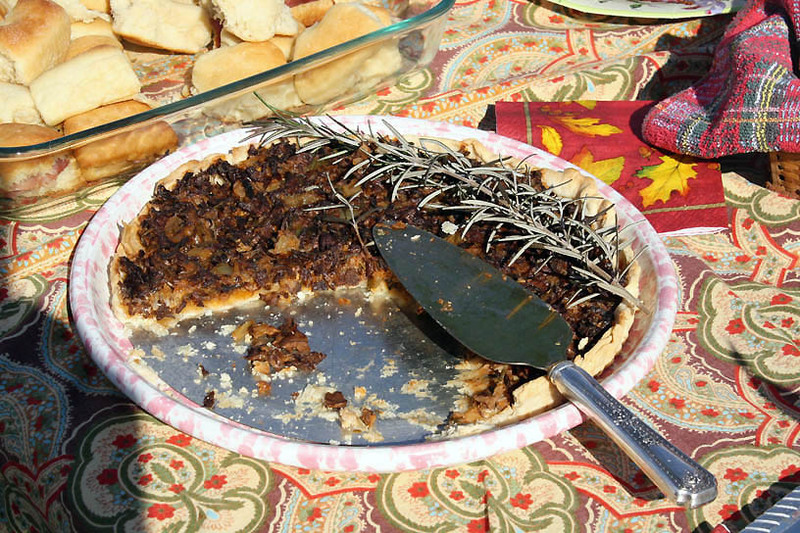 A rich mushroom tart graces the table every year, alongside a delicious-looking tenderloin wrapped in herbs and cooked in bread dough. The spread includes cheeses, dips, crackers, ham biscuits, fried chicken, apples, crudite and more. 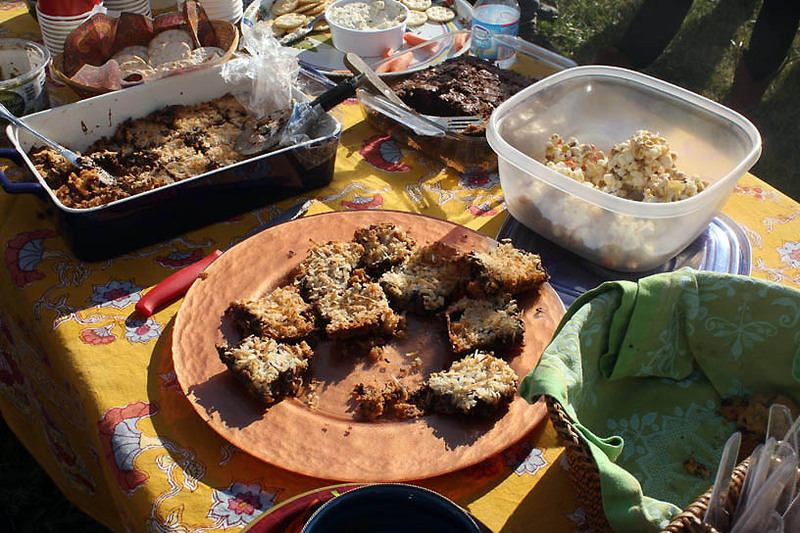 Brownies, cookies and coconut-chocolate bars were some of the dessert choices. Before each race, trainers paraded the horses along the course. 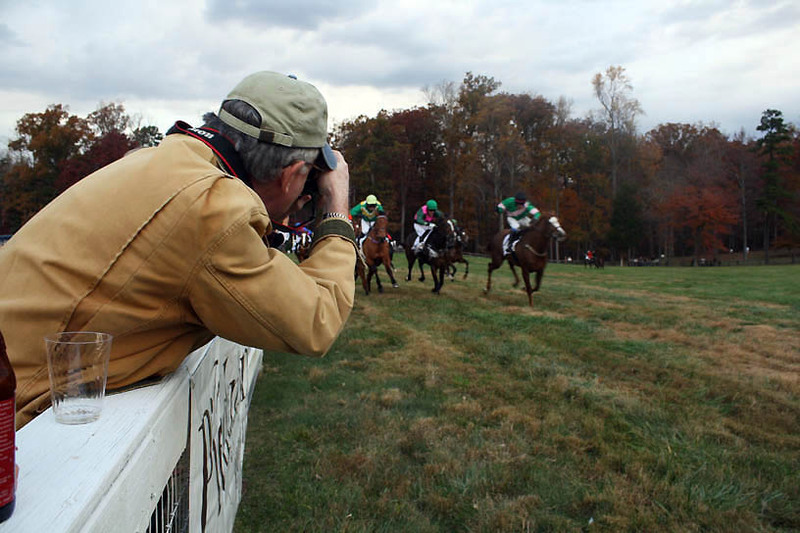 Our group would use this time to scope out which horses were prettiest or happiest or feistiest for our bets. 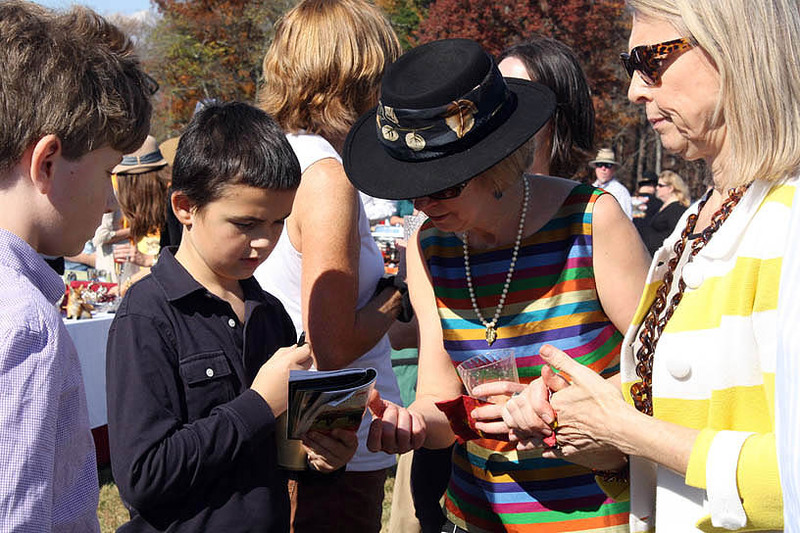 Some of the kids are put in charge of the betting book early in the day though they lose interest as the six 2-mile races progress. 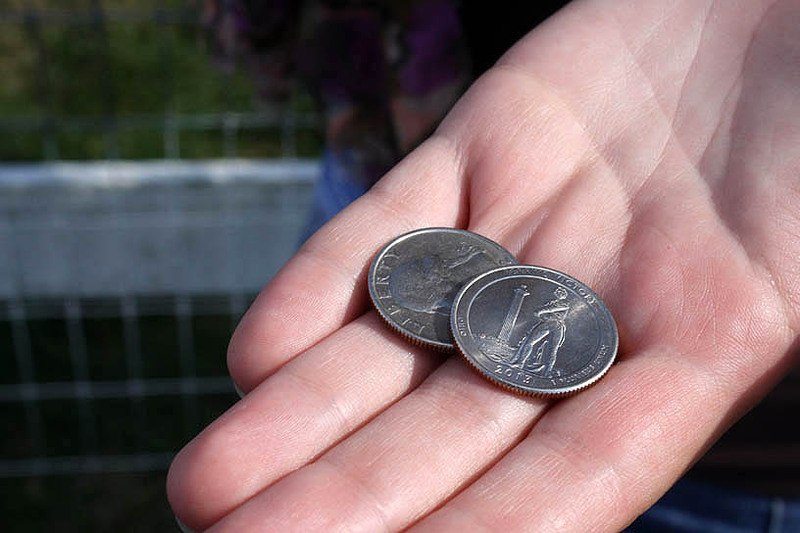 But we’re big betters–we’re talking quarters here. Pick the horse (or name) that’s your favorite, initial in the book and cross your fingers. In the first race, I chose No. 4 for he looked like a winner. 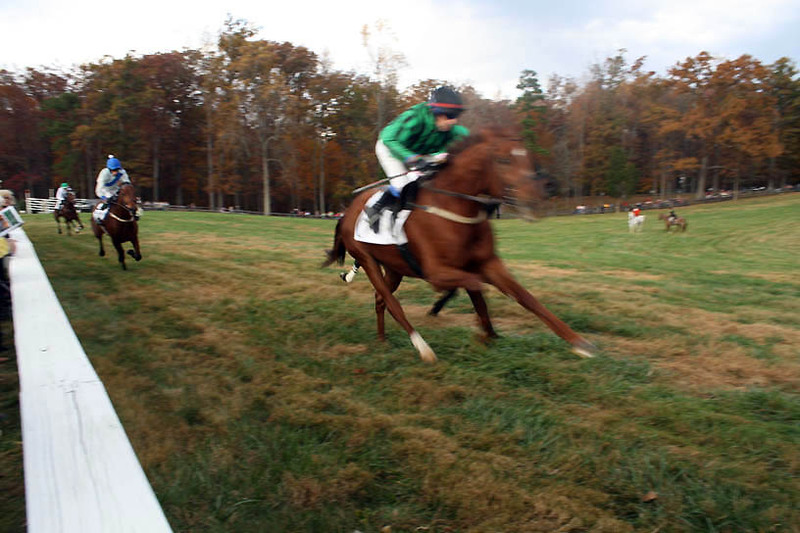 Unfortunately, he lost his jockey when crossing over one of the estate’s brush fences and then ran loose for quite a few minutes around the course. Several attempts to corral the horse were unsuccessful, but eventually he was under control. During another run, another horse fell while jumping the hedge, and though I have this huge fear that we could see what race organizers do to horses that are injured beyond repair, this one fortunately was able to get back upon his legs. Fall in Virginia is such a beautiful time. 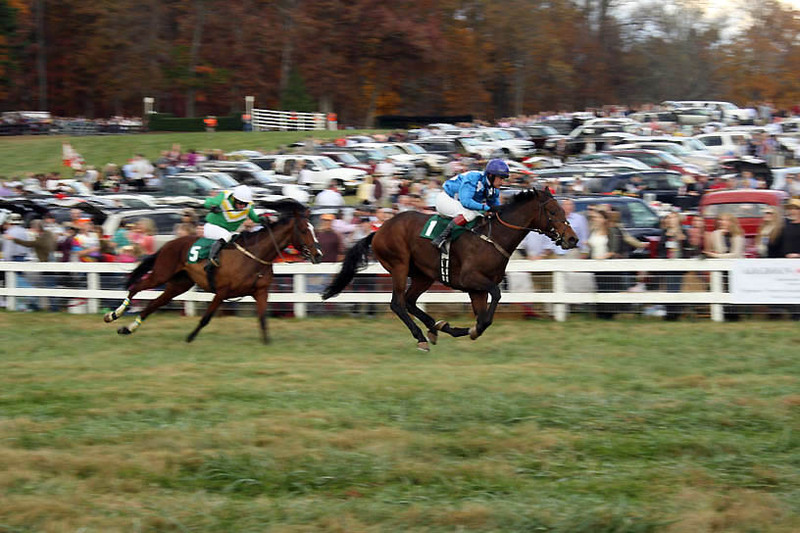 Changing leaves provide a fitting backdrop to the races and sights of the day. Just like the horses run, the day flies by. 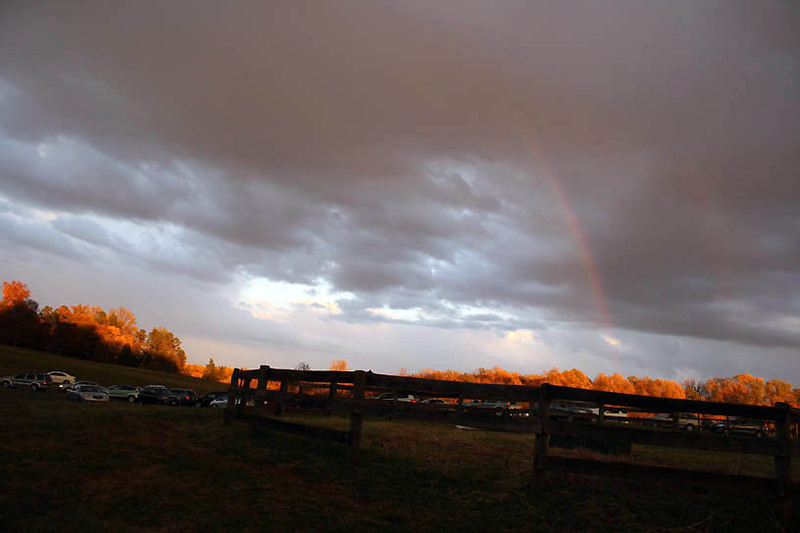 The sun sets, shadows lengthen and this year, a rainbow filled the sky across the backed-up parking lot. Until next year. I made the three components–pastry, roasted squash and caramelized onions–the evening before I planned to bake, and formed them into the galette. I stored the unbaked galette in the refrigerator overnight, pulled it out when I woke up so it could warm up slightly, brushed it with the egg wash and then baked it. It took slightly longer than the recipe called for, but this technique allowed me to take the just-baked pastry to the races and avoid a potentially soggy or soft crust. We ate the galette at room temperature. A smaller version can be found on the Smitten Kitchen blog. In a bowl, combine the flour and salt. Add the whole sticks of butter (or cubed) and, using a pastry blender, break up the bits of butter until the texture is like cornmeal, with the biggest bits the size of pebbles. In a small bowl, whisk together the sour cream, vinegar and water, and pour this over the butter-flour mixture. Stir with a rubber spatula until a dough forms, kneading it once or twice on the counter (or in the bowl) if needed to bring it together. Pat the dough into a ball, wrap it in plastic, and chill it in the refrigerator for 1 hour or up to 2 days. Preheat your oven to 400 degrees. Peel the squash, then halve and scoop out seeds. Cut into 1/2-to-3/4 inch chunks. Pour 2 tablespoons of the oil onto a large baking sheet, spreading it to an even slick. Lay the squash chunks in one layer, sprinkle with 1/2 teaspoon salt and freshly ground black pepper, and roast for 30 minutes, or until squash is tender, turning the pieces occasionally so they brown evenly. Set aside to cool slightly. While the squash is roasting, melt the butter and the remaining tablespoon oil in a heavy skillet and cook the onions over medium-low heat with the sugar and teaspoon of salt, stirring occasionally, until soft and tender, about 25 minutes. Stir in the cayenne pepper, if you are using it. Mix the squash, caramelized onions, cheese and herbs together in a bowl. In a 400 degree oven, bake until golden, 30 to 40 minutes. Remove the galette from the oven, let stand for 5 minutes, then slide onto a serving plate. Cut into wedges and serve hot, warm or at room temperature. 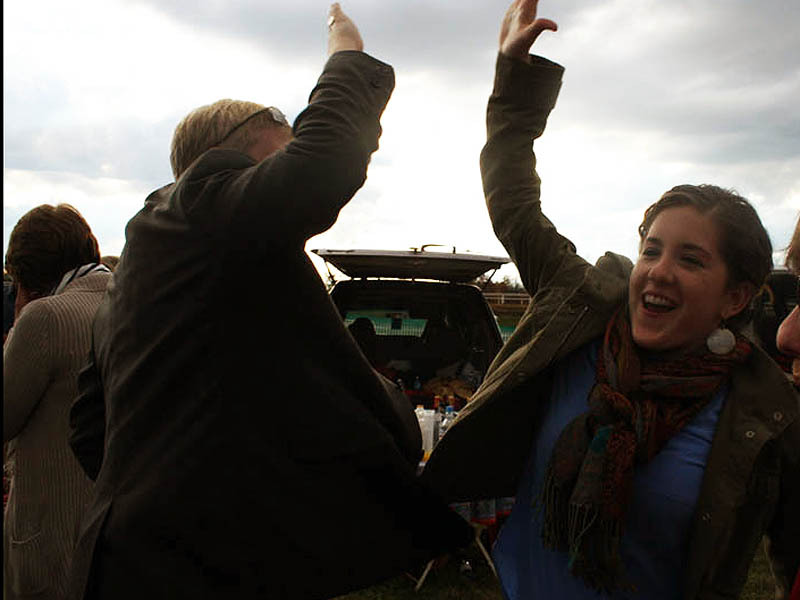 Well hopefully next Saturday’s tailgate and game will be just as fun! Thanks! What.a great post. Had such s fun time. I owe you a receipt for squash gnocchi. Coming soon ! Great pics! And great galette.